Tidy Mart is home to many scrap metal. Because of a large and ongoing need for metals of all types for Industrial and commercial applications, Tidy Mart have wide network to procure these scrap metal and surplus metals. Each member of the group however is independent, operating as a single entity and generating its own business and profits. Tidy Mart creates Profitable & Sustainable trading solutions in the Ferrous Metal Trading. 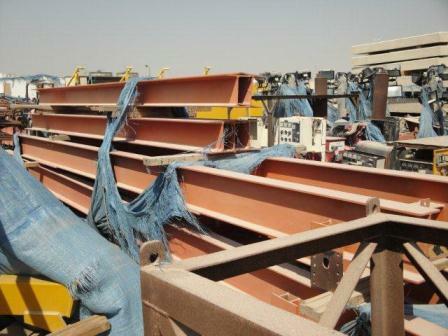 We specialize in the HMS1 & HMS2, Used rails, used batteries, and can accommodate your interest in all the mentioned commodities in a reliable, timely and efficient manner. HMS 1 & HMS 2 as per ISRI Specifications. 200 No. 1 Heavy Melting Steel. Wrought iron and/or steel scrap 1/4 inch and over in thickness. Individual pieces not over 60 x 24 inches (charging box size) prepared in a manner to insure compact charging. 201 No. 1 Heavy Melting Steel 3 feet x 18 inches. Wrought iron and/or steel scrap 1/4 inch and over in thickness. Individual pieces not over 36 x 18 inches (charging box size) prepared in a manner to insure compact charging. 202 No. 1 Heavy Melting Steel 5 feet x 18 inches. Wrought iron and/or steel scrap 1/4 inch and over in thickness. Individual pieces not over 60 x 18 inches (charging box size) prepared in a manner to insure compact charging. Wrought iron and steel scrap black and galvanized, 1/8 inch and over in thickness, charging box size to include material not suitable as No. 1 heavy melting steel. Prepared in a manner to insure compact charging. Wrought iron and steel scrap, black and galvanized, maximum size 36 x 18 inches. May include all automobile scrap properly prepared. 205 No. 2 Heavy Melting Steel 3 feet x 18 inches. Wrought iron and steel scrap, black and galvanized, maximum size 36 x 18 inches. 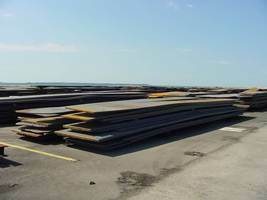 May include automobile scrap, properly prepared; however, to be free of sheet iron or thin gauged material. 206 No. 2 Heavy Melting Steel 5 feet x 18 inches. Wrought iron and steel scrap, black and galvanized, maximum size 60 x 18 inches. 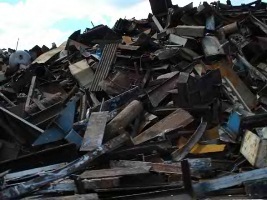 May include automobile scrap, properly prepared; however, to be free of sheet iron or thin gauged material. Our Credibility in this industry is very important to us as is protecting the interests of the mandates we represent or deal directly with. We are organizing genuine HMS 1 & HMS 2 with Industrial Experts. We are capable of supplying up to 30,000 MT x 12 months CIF AWSP, in bulk. N/C Europe, Africa, Russia, South America, Ukraine or USA, at Seller's option. By Irrevocable, Transferable, assignable, confirmed fully funded, revolving RDLC, TT payable 100% at loading port, upon seller presentation of documents for payment are Non-Negotiable Bill of Lading, SGS Quality & Quantity Certificates and Commercial Invoice. 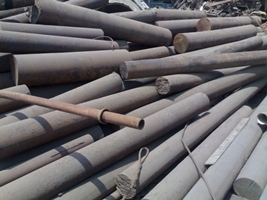 We invite all serious buyers to get in touch with us, for more details related to Iron Scrap HMS1 & HMS2 please send your requirements to our mail address.